Last week I showed you some stamps I got from a friend of mine. Well, he also gave me a carrier bag full of commercial covers from the 1980s. His family used to own the Verduyn Bros Confectionery Works, and this was mail sent to them. Normally I wouldn't have looked twice at it, but as it happened I had just read the feature on modern postal history of the Arabian Gulf in this month's Stamp Magazine. I had already noticed that there were covers literally from all over the world, so I went and painstakingly sorted them all. And to my surprise I found there were quite a few from the Arabian Gulf! Not so much from the era the feature was dealing with, which is the 1960s and 1970s, but still, I thought it might be interesting enough to show some of them to you. First up are the United Arab Emirates. This is a nice registered cover from 1986. Most covers in the lot were cancelled with a single circular machine cancel from Dubai, so this Deira cover is probably a bit more unusual. Note the bilingual registration label. There was also a registered cover from Kuwait, from 1976, which I liked. Again we have a registration label in both English and Arabic, but also an Express Delivery label in the two languages. The stamps are cancelled with a special oval registered handstamp. Yet another registered cover comes from the Sultanate of Oman. Again we have an oval postmark, though I'm not sure whether that's a special registered postmark. However, all other Oman covers in the lot are cancelled with more regular circular postmarks, either single (machine cancel) or double (handstamp) ringed, so the oval one may well be for registered post only. Pity about the damaged stamps, though! 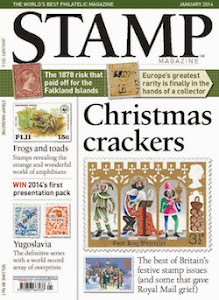 The final cover is one that does get a mention in the feature in Stamp Magazine, in that the author, Alastair Gunn, tells us to look out for commercial Bahrain covers with commemoratives on. Most covers will bear the usual Sheikh definitives, so the commemorative stamp covers will be extra desirable. This proved to be correct, for there were loads of Bahrain covers in the lot, and only two had commemorative stamps on. The one I'm showing here, from 1984, bears a 1983 stamp marking the Opening of Madinat Hamad New Town. I must admit I had never thought I'd have so much fun sorting out these covers! Just goes to show, I suppose, that the more knowledge you gain, the more interesting all these different components of philately become! PS: We now also have a forum thread dedicated to collecting the Arabian Gulf States. Why not have a look and show us your items from that area?! Right; your Oman one is interesting because you have a manually altered registration label. I'd need to get help to confirm the Arabic. The light oval mark is the registration label from Oman (normally one on the back). The Kuwait Express is of some interest as Express from the GCC are awkward to find. The 15 fils boat is awkward to find as a multiple on cover. The other two are ordinary. Glad you liked my article.